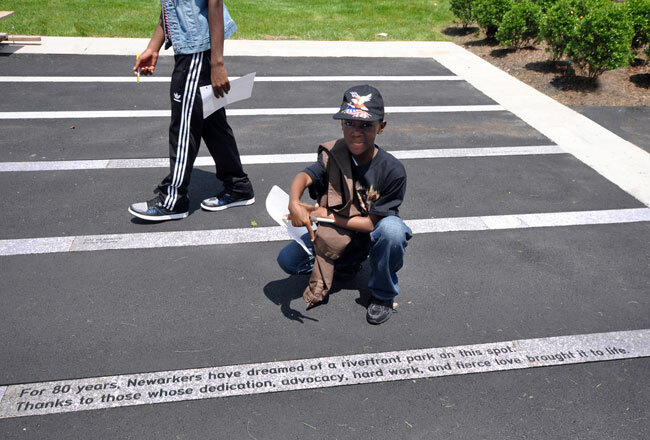 For six weeks starting in July, 55 young people experienced day camp along Newark’s riverfront and a blend of arts, environmental justice, sports, and recreation. 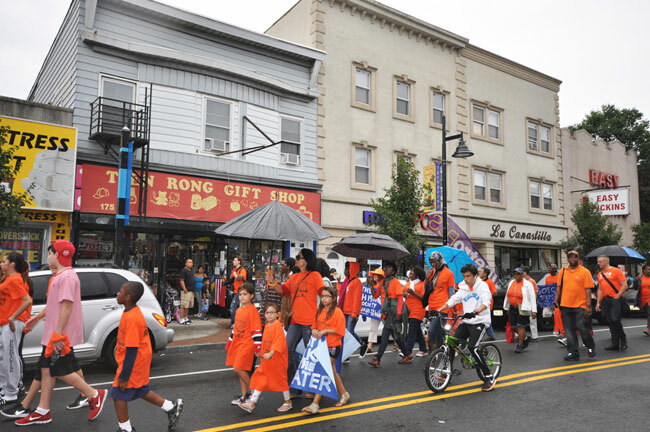 Newark artist Kevin Sampson, lead muralist for Song of the Passaic led arts workshops, and Saman Dashti of Grupo Liberdade de Capoeira led capoeira classes. 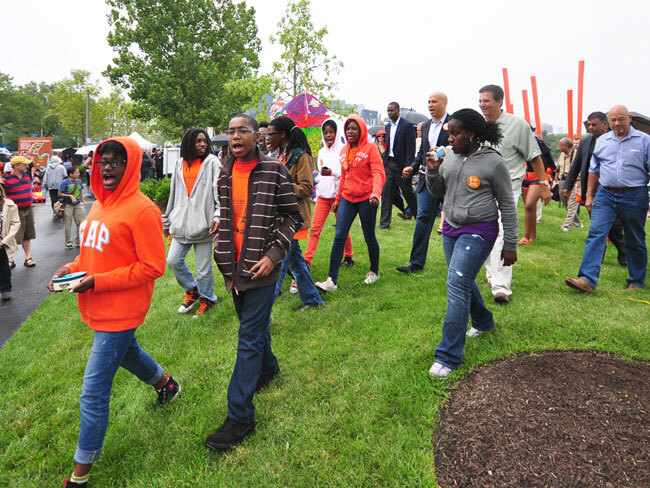 The Network, a citywide organization, oversaw sports and recreation. 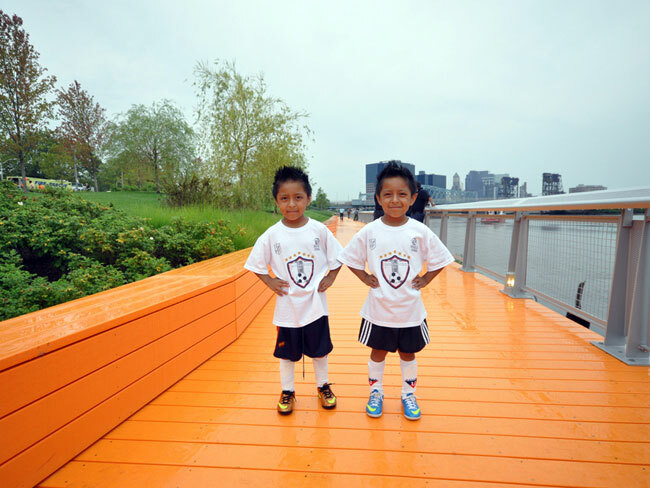 Over the six weeks, Ironbound Community Corporation provided core staff, tents, tables, and supplies. 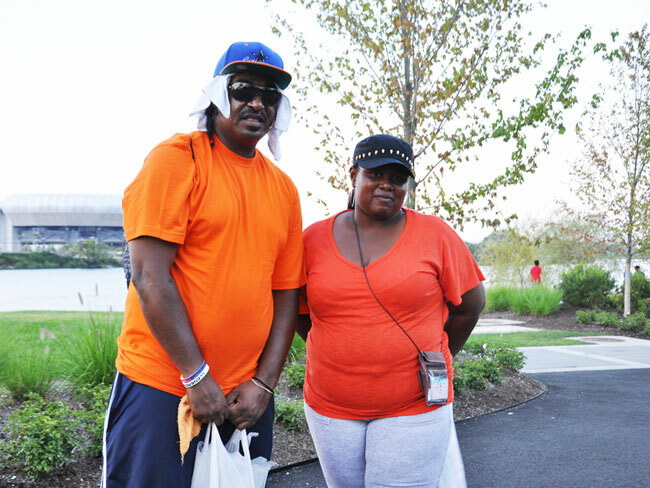 Special shout-out to Essex County Parks staff for daily set-up! 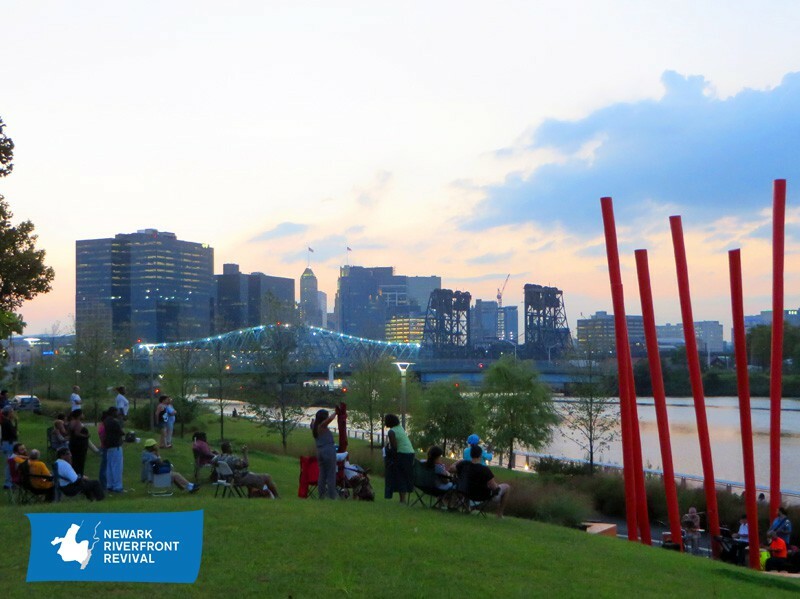 This entry was posted in Public Programs on August 24, 2013 by riverfrontcoordinator. 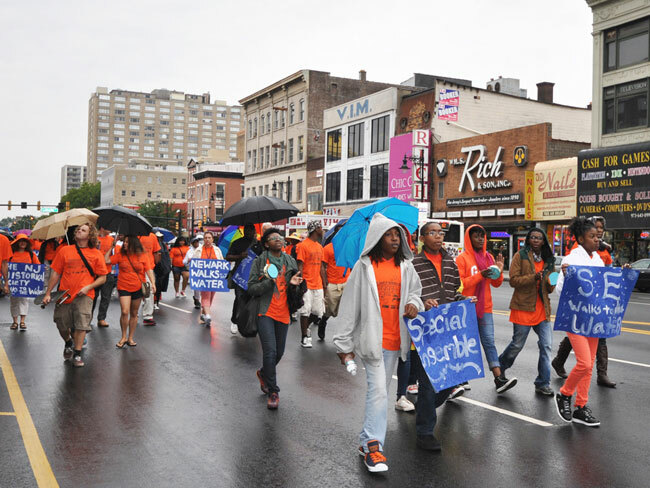 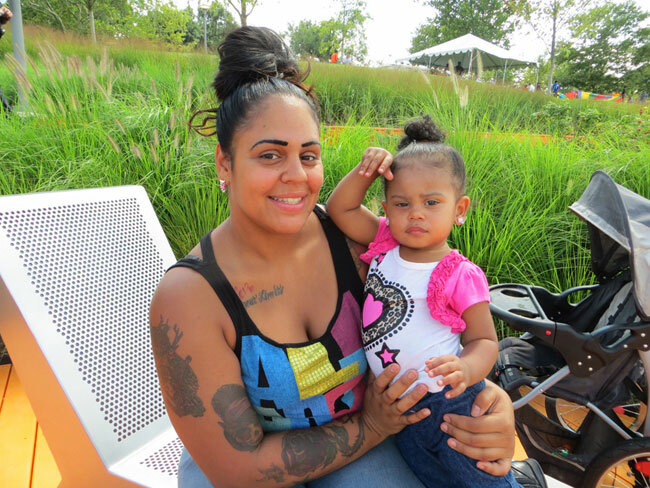 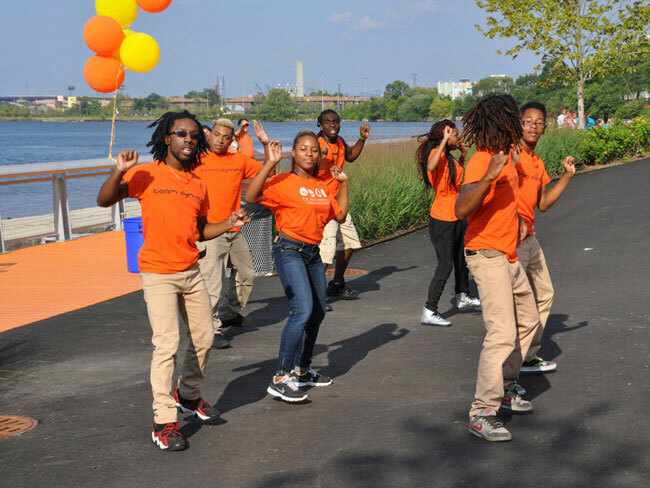 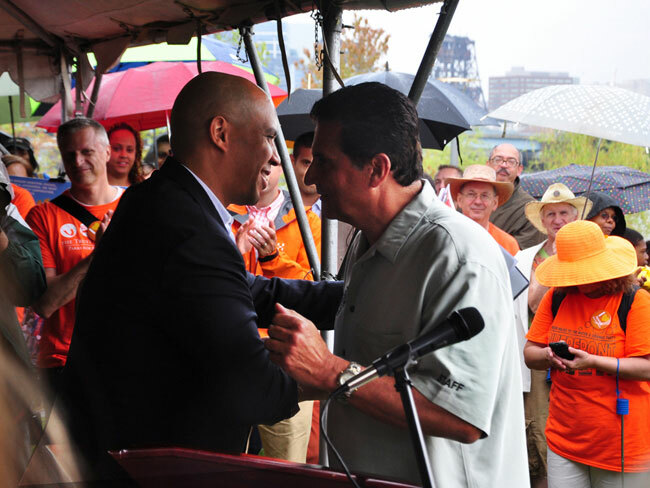 Scenes from Newark River Celebration: Walk to the Water & Orange Party! 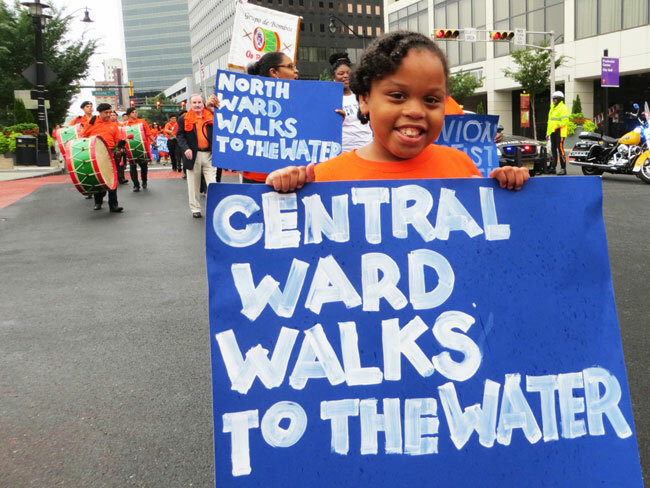 Newark’s Symphony Hall Special Ensemble led the Walk the Water. 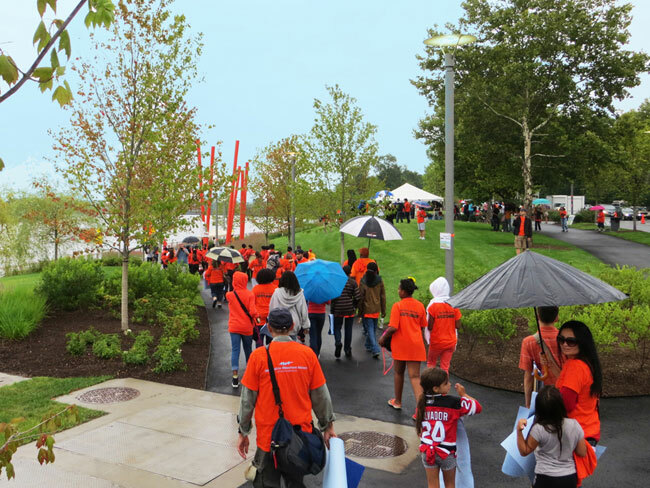 Did you think that drizzle would turn us around? 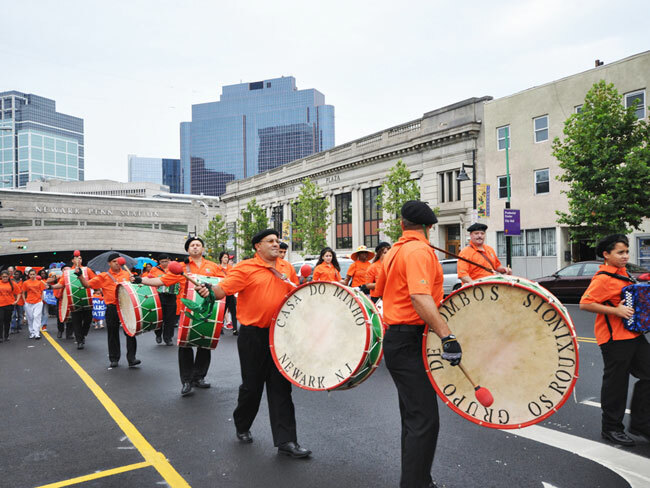 Grupo de Bombas Os Roxinois and their earthshaking drums let everyone know we were coming. 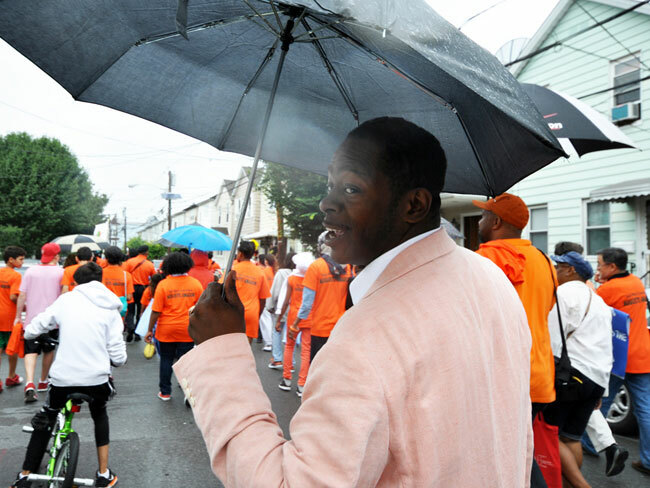 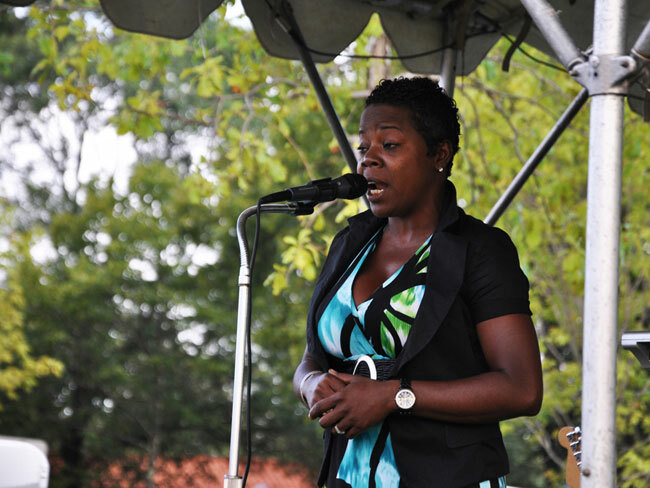 Rodney Gilbert, host of the River Performance, sported an orange sherbet ensemble. 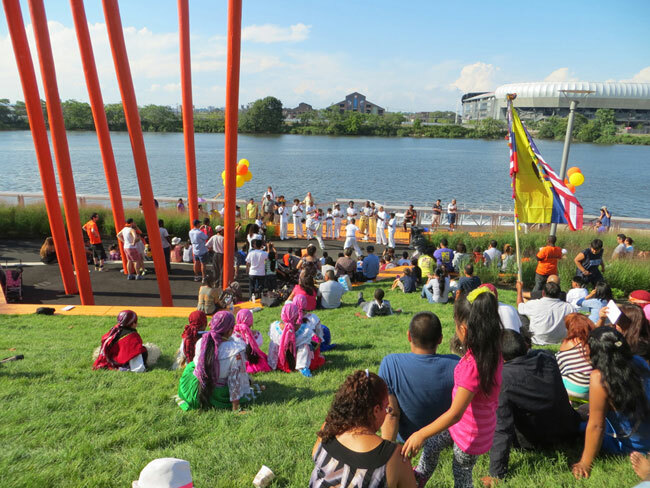 Newark’s Grupo de Liberdade de Capoeira shows their stuff. 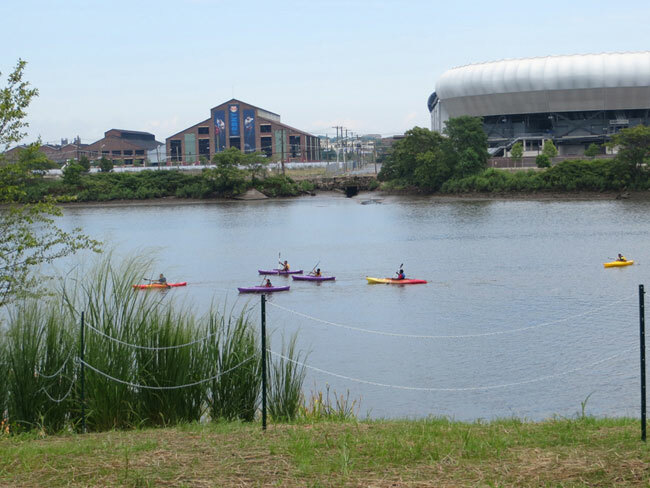 Thanks to the Essex County Parks System Environmental Center and Tara Casella, canoes were on offer to Newarkers interested to get on the water. 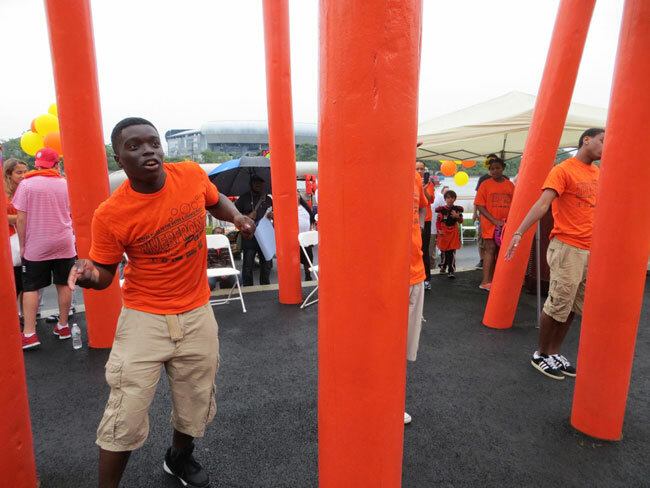 Newark’s Dynamic Dynasty brought their moves to the Orange Sticks. 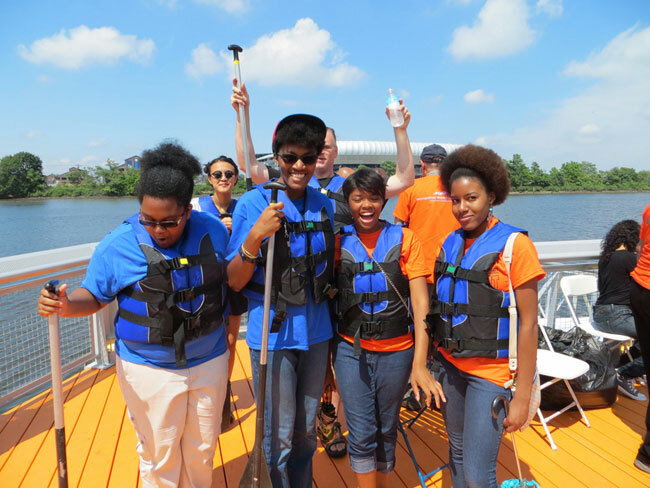 Uniting communities along a shared river, kayakers from Paterson’s Mason Ave Christian Reformed Church tried our new dock and helped beginning canoers stay safe. 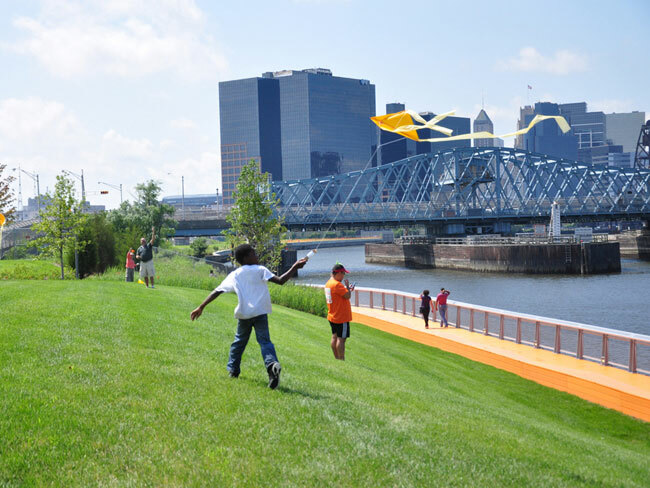 90 lucky young people received hand-made orange kites and pinwheels plus lessons on how to use them from a mysterious neighbor known as the Kite Master. 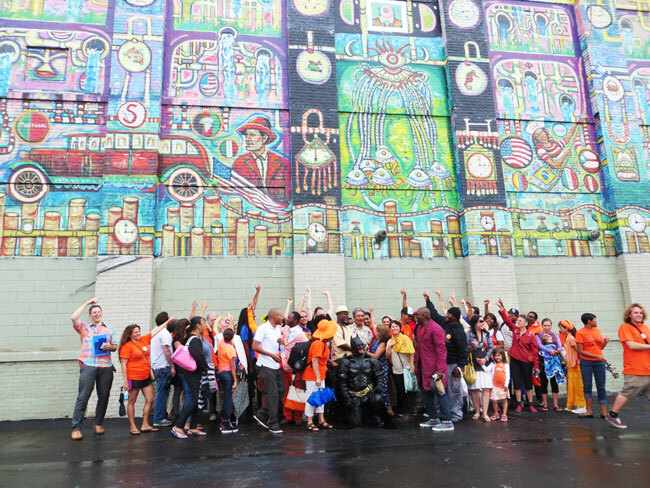 Newark Murals dedicated Song of the Passaic, its twenty-third large-scale outdoor painting, a collaboration between Ironbound Community Corporation, Seidler Chemical Company, and a team of artists led by Kevin Blythe Sampson. 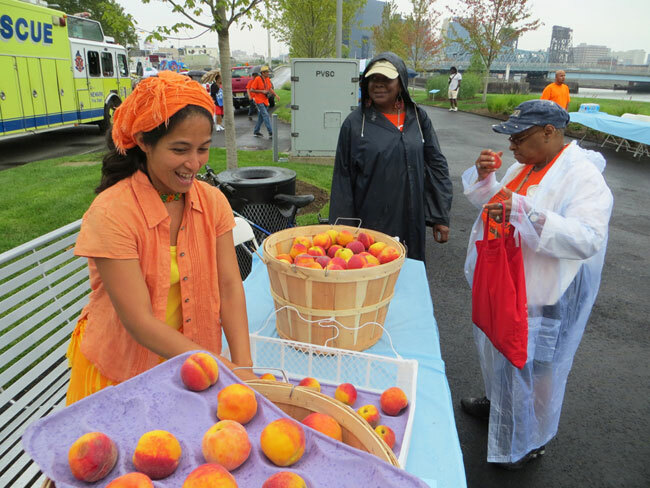 Keeping with the orange theme while keeping it local, 150 pounds of sweet New Jersey peaches were available for all riverfront revelers. 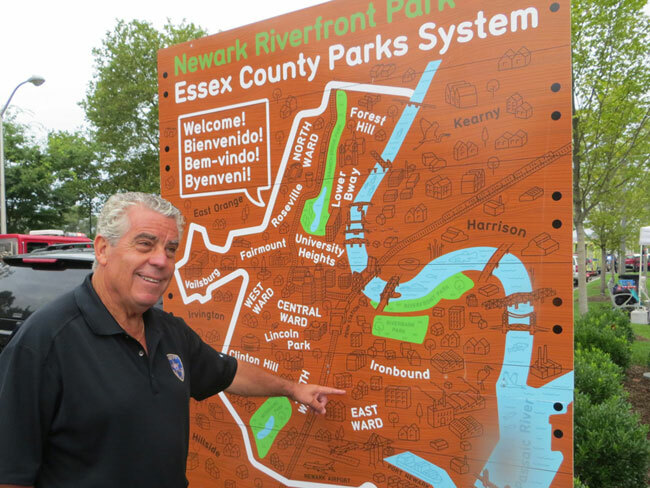 Essex County Sheriff Armando Fontoura points out his birthplace on the temporary version of the Newark Riverfront Welcome Sign, part of the educational signage designed by MTWTF and the Newark Planning Office. 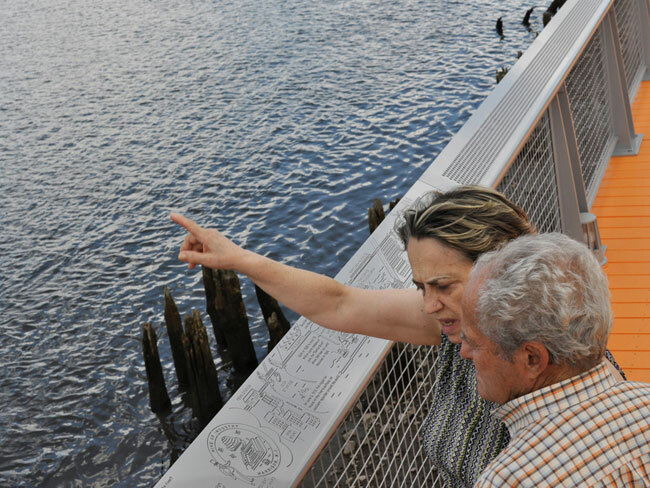 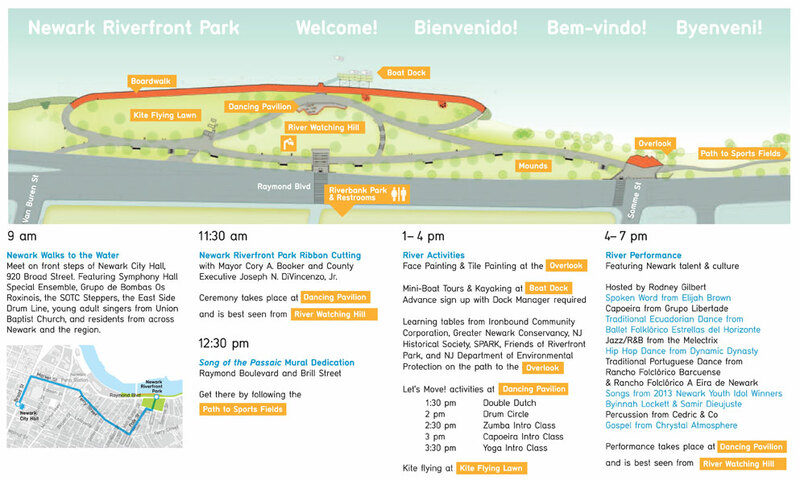 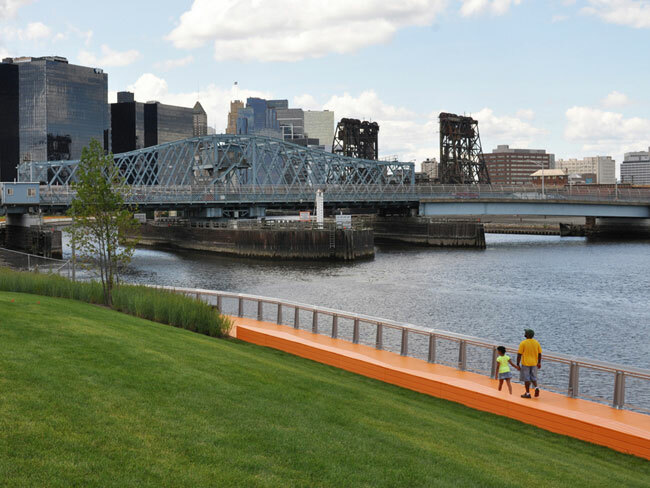 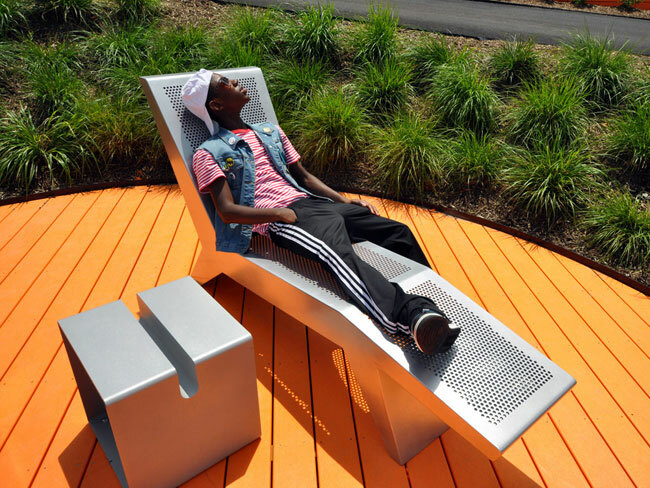 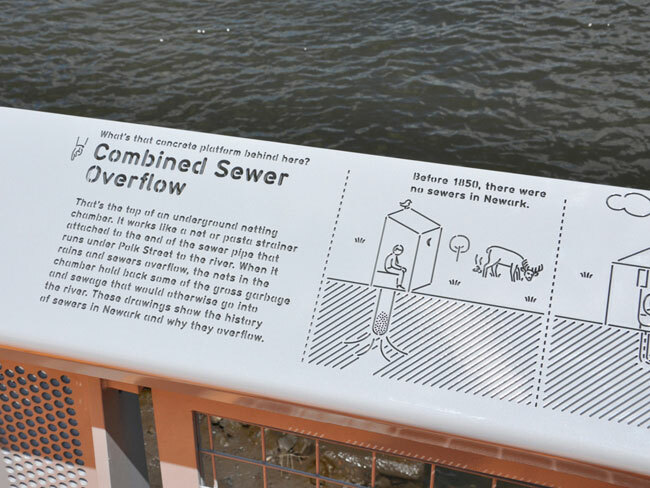 The park features a set of educational pictographs cut into the orange boardwalk’s rail on topics include Combined Sewer Overflow, the town of Harrison, the Dioxin Disaster, the Jackson Street Bridge, and the Passaic River. 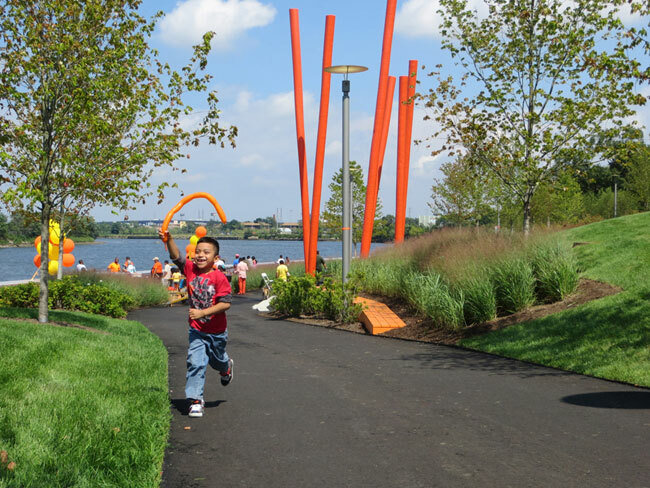 This entry was posted in Building Things, Public Programs on August 5, 2013 by NRR.